Card Connection the leading franchised Greeting Card publisher in the UK and Ireland, recently held its annual conference at Forest of Arden, Birmingham. The excited group of franchisees, along with Card Connection staff and some colleagues from UK Greetings eagerly attended this renowned event. The conference’s theme was “Service Superheroes”, celebrating the fantastic service the franchisees and the staff provide. The day offered a fantastic opportunity for this greeting card family to celebrate the success of their franchising business and discuss the exciting future that lies ahead in the world of greetings cards. At the Gala Dinner, six Regional Franchisee of the Year winners and the Overall Franchisee of the Year winner were announced for their outstanding services and performance over the past year. 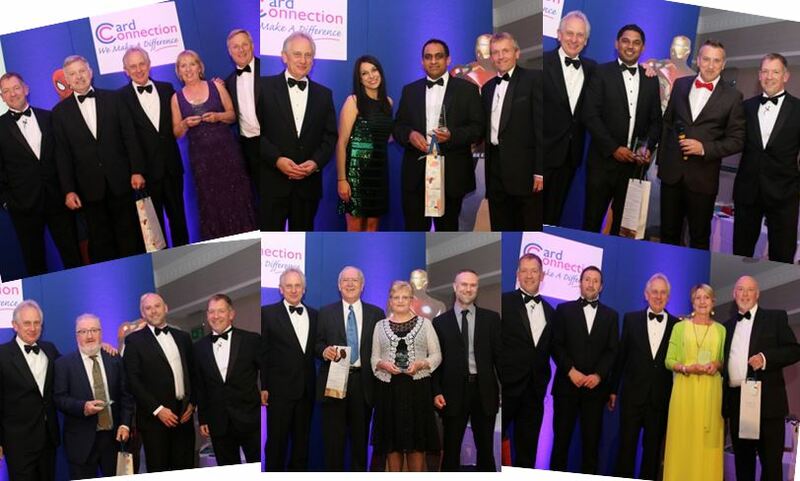 The Regional Winners were Ian and Denise McIntosh (Northern Region), Gabriel McGeown (Ireland), Munawar Mohammed (North and Scotland), Dave and Marie Clements (Southern), Nishan Jeyakumar (Anglia and Midlands) and Richard and Sue Webb (South Wales & Central region). Congratulations to Munawar Mohammed (North and Scotland) who was declared the overall winner.